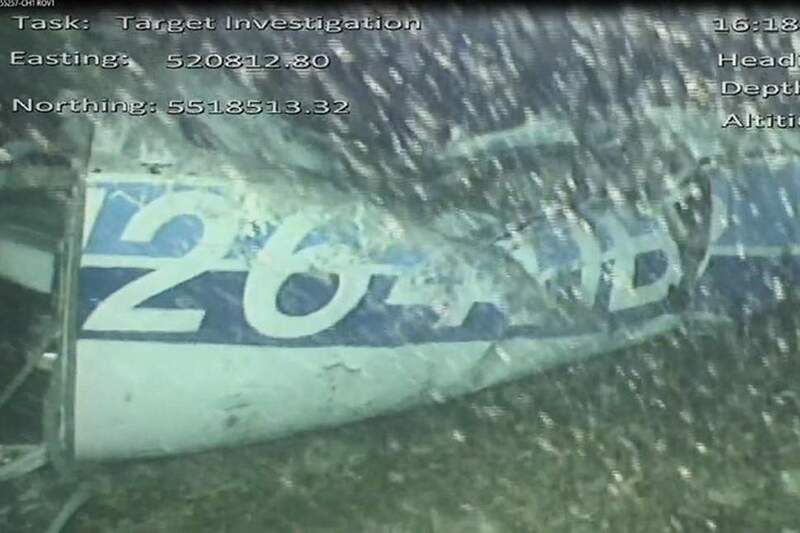 A BODY has been recovered from the wreckage of the plane which crashed into the English Channel while carrying footballer Emiliano Sala and pilot David Ibbotson, investigators have said. The Piper PA-46 Malibu light aircraft, registration N264DB, was found on seabed around 24 miles north of Guernsey on Sunday but adverse weather conditions delayed the removal of a body spotted in the fuselage until Wednesday. It has not been confirmed whether the remains are those of Mr Sala or Mr Ibbotson. In a statement, the UK Air Accidents Investigation Branch (AAIB) said: "Following extensive visual examination of the accident site using the remotely operated vehicle (ROV), it was decided to attempt recovery operations. "The weather forecast is poor for the foreseeable future and so the difficult decision was taken to bring the overall operation to a close". The body is to be passed into the care of the Dorset Coroner in Portland, the agency said. The aircraft itself was not able to be recovered but the AAIB believe extensive video footage recorded by its submersible vessel will provide "valuable evidence" in its investigation into the tragedy. "We expect our next update to be an interim report, which we intend to publish within one month of the accident occurring," it added. Argentine striker Mr Sala, 28, and British father-of-three Mr Ibbotson, 59, disappeared on January 21 during a flight from Nantes in France to Cardiff. Sala had signed for Cardiff City from FC Nantes two days previously and was flying to South Wales to meet up with his new teammates for the first time when tragedy struck. It emerged on Wednesday that Nantes have now begun legal action against Cardiff, demanding the first payment of the £15million transfer fee in the Sala deal – which is understood to be an installment of around £5m. The Bluebirds have not yet paid any of the club record fee for the tragic striker, and are reportedly reluctant to proceed until the results of the AAIB's investigation resolve lingering questions over the ownership of the doomed aircraft.